Working with Oussama was a great experience. Oussama is a young lecturer but with lots of skills, especially in Software design, OO design, UML design, SOA based architectures and programming. Thanks to his engineering and Phd studies, he combines, indeed, practical and theoretical experience. Oussama is well known by his perseverance, seriousness and his dedication to work. Just sit with him as a Jury in a deliberation or just in front of a coffee and you'll see the skills in him. As a Head of Department, I’ve worked alongside Oussama since November 2014 at the National School of Engineers of Sousse (ENISo). We discussed curriculum, teaching strategies, pacing guide, and school expectations. His mastery of his course and field, his skills and his communication qualities has made of him one of our best Professors, respected by both colleagues and students. Student’s evaluation of teaching is one first indicator of how involved he is in his work. Oussama is also particularly productive and generous and has helped me a lot mounting educational extra-activities for students and establishing several programming contests to motivate them. He made himself available a number of Saturdays and Sundays for the sake of students. Oussama is easy to communicate with, a confident interlocutor and - as a kind of perfectionist – an excellent collaborator one can rely on. 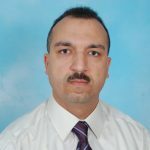 I have known Mr. Oussama as a colleague for 4 years during his position at ISAMM, where he was an assistant (lecturer) from year 2010 to 2014. Mr. Oussama proved a high quality of teaching and pedagogy innovation. He proposed always creative contents especially for Web development and Front-end integration courses, which were ones of the most required skills for bachelor graduate students in our Institute. In order to update the curricula of the department, Mr. Oussama also contributed in the reform of the study plan for "Multimedia Communication" program. Mr. Oussama also participated in the organization and selection of teams for the "ISAMM WebCamp" (a 24 hour non-stop web development event) in its first two editions. Oussama is a hard working person, sincere and dedicated. He is appreciated by his colleagues and his company not only for his excellence in field but also for his high self motivation and his team spirit. He is an asset to any organization that he works for. Oussama was my classmate, he was a serious and respectable student. In addition to this Oussama was brilliant during the 3 years of study and he had very impressive sense to fix problems and issues related to some projects that we have done together. Oussama est une personne que je connais depuis plus de sept ans. Si je me permets de vous le recommander aujourd'hui, c'est en raison des qualités tant professionnelles qu'humaines qu'il a toujours su déployer dans la cadre de son travail (Expériences pertinentes, Maturité, Créativité, Rigueur, Disponibilité,...) et dont j'ai l'honneur de me porter garant. Le travail avec Oussama était un vrai plaisir, je pouvais toujours compter sur son aide. Il est toujours serviable et prêt à aider malgré qu'il avait une pression énorme entre les cours et les travaux de recherche.